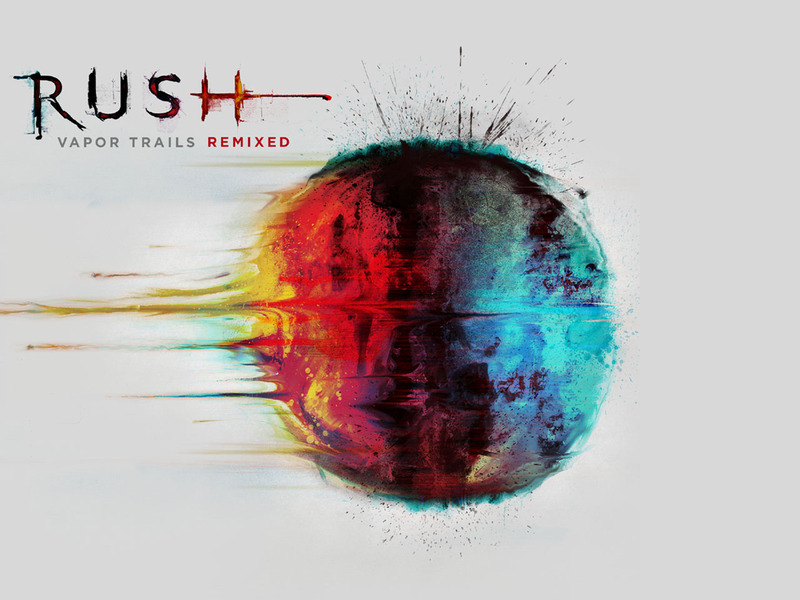 The Popdose Interview: David Bottrill on Rush's "Vapor Trails Remixed"
Between 1997 and 2002, the future of Rush was uncertain. The untimely deaths of Neil Peart’s daughter and wife in 1997 and 1998 left Peart without any desire to continue with the band. He announced his retirement at his wife’s funeral to Geddy Lee and then embarked on a two-year retreat from the world on his motorcycle in an attempt to heal the deep wounds caused by the deaths of his daughter Selena and wife, Jackie. By 2001, Peart was ready to work again. He called Geddy Lee, told him that it was time for him to find some gainful employment, and wanted to talk about getting the band back together. 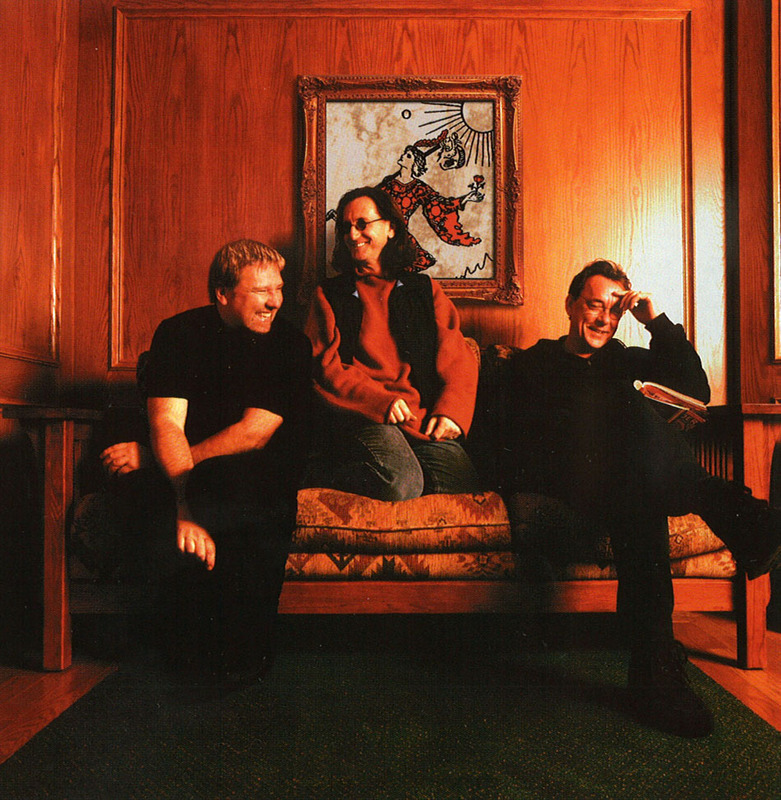 It took 14 months from that initial meeting to write and record Vapor Trails – Rush’s seventeenth studio album. Largely self-produced (with some assistance from long time friend of the band, Paul Northfield), the album marked the return of one of the longest-enduring progressive rock trios. However, after all the time and work that went into the album, it took its toll on the members of Rush. By their own admission, they lost perspective on album, and due to sheer burn out, didn’t pay attention to certain production qualities. The result was an album that was mastered at such a loud level, that, in Geddy Lee’s own words, the recording was “overcooked.” Distortion, clipping, and an overall muddy sound pervaded the record. Rush fans were surprised that for a band who prided themselves in producing records where each instrument could be heard with precise clarity, those very elements were missing. Vapor Trails was a disappointment for many fans because the songs were buried under a morass of sonic sludge that made it difficult to connect with the music. The members of Rush were also not pleased with the recording, but for various reasons, resisted “going back” to correct the albums flaws – until now. It’s difficult to say, but perhaps because Rush is getting to the point where they may call it a career, the band wants to make sure that a record that one out of the three members of the band can’t listen to is remixed in a way they wanted it to sound in 2002. Oh, and that one member who can’t listen to the record (even though he tried) is Peart. He said that hearing the album just brings back the emotional pain of the loss of his family, so he wanted no part of the remix project. 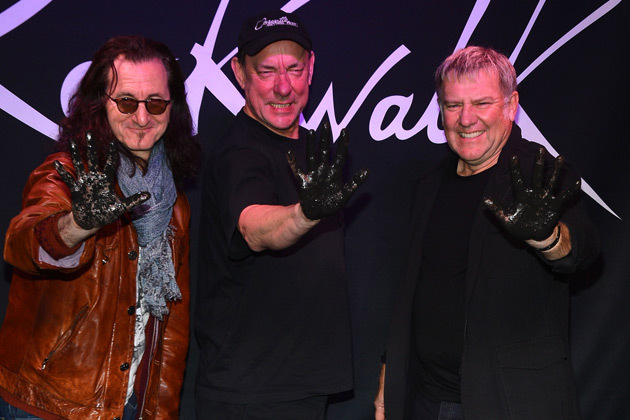 Plus, Rush was on tour supporting Clockwork Angels and Geddy and Alex figured it was best to hand the project off to a trusted soul who could breathe new life into Vapor Trails while they were away from their home base. Enter long-time rock producer, fellow Canadian, and “trusted soul,” David Bottrill. He was originally on the short list to produce Vapor Trails in 2002, and, 11 years later, Geddy and Alex asked to remix the album. When news of the album’s remix project broke, many Rush fans expressed enthusiasm for the record. For years, they hoped the band would “fix” Vapor Trials, since the album was viewed as both sweet and sour for a number of reasons. Sweet because it meant that Rush hadn’t mothballed their instruments and broken up the band, and sour because of the aforementioned production issues that plagued the album. Bottrill had a big project on his hands, but he rose to the challenge to produce Vapor Trails Remixed – an album that’s free of any of mastering problems of the original, and chocked full of wonderfully subtle musical surprises. Ted: Before we get into the thickets about Vapor Trails Remixed, let’s clarify the difference between a mix/remix and a remaster in audio recording. David: The difference between mixing and mastering is the following: To mix a song, you take all the raw material and alter the tone and volume in order to balance the tracks. [Then you] blend each element to make a pleasing mix. Mastering is taking that stereo balance and doing a final tone and volume adjustment. Chris: The fan reaction to the remix I’ve read so far on the Internet has been overwhelmingly positive. Have you poked around to see what the fans are saying, or do you avoid reading that sort of thing? David: I’ve read a few things. You can’t please everybody, but mostly, I think people are happy with it. If it were just a remastering, I think it wouldn’t have satisfied all the desire from the fans to have something new. I’ve heard some say it’s like getting a new Rush album. That feels like a great compliment and I’m just happy to have helped the band complete this project to their liking. Ted: Geddy Lee spoke to Rolling Stone about your potential involvement with Vapor Trails 11 years ago. They were going to ask you to produce, but didn’t want to introduce anything new or potentially uncomfortable for Neil at the time. So, they worked on the album with Paul Northfield. Did you know that they were interested in working with you back then? David: Yes, we spoke a few times and had some dinner to discuss that possibility. I spent a day with them in the studio, but that’s as far as it went. In retrospect, as much as I would have loved to work with them at that time, I think it was probably the correct decision not to throw another new element into their working environment. I would not have wanted to be part of the reason that this great band was unable to revitalize. Chris: Were you aware of the groundswell of fan support for a remix of Vapor Trails, going pretty much back to when it was released? David: I was aware that [the album] wasn’t the favorite sounding record for the fans of Rush. I hope I have been able to correct that for some of them. But, like I said, you can’t please everybody. David: When I approach any mix, I will reference any rough or previous mix lightly, to find balance or tones that the client might like. But in this case, I was aware that the band weren’t happy with the final mixes they had, so I just approached it fresh with little referencing to the originals. My philosophy was that they didn’t like what they had, so I would just work with the material they gave me and do what I thought would work best for each song. The first mix took the longest to complete, but that was only a couple of days. Once we were into the groove, the band usually only had little tweaks or suggestions and went mostly with what I presented them with. Chris: Did Geddy or Alex give you any specific direction or guidance either before the project started, or as it progressed? David: There was very little direction prior to starting. I did a test mix for them as did some other engineers and producers. They liked most of them, but I think that they had wanted to try to work with me for some time, so perhaps that swayed their opinion towards my mix as opposed to others. Andy Curran, who works with the band, is also a friend of mine and I think he was pulling for me to do the remix as well — and this may have had an influence. Ted: I noticed that you really worked on separating Geddy’s vocals so the double and triple vocal tracking could be heard more clearly. I’m not sure if I’m hearing things, but did you add different vocal takes for some of the songs? David: Nothing new was added. The band weren’t present for the mixes as they were mostly on tour, so there would have been no opportunity to do any further recording. When I mix, clarity is a priority to me. I always want the creations and performances that the musicians make to be heard. Chris: How did you approach this project as opposed to producing or mixing a record where you’ve been involved from day one? David: When I’m hired to mix something I didn’t produce, there is no attachment to any performance or sound that the artist has created. This allows for a freedom that is difficult to have when you work on it from day one. I can use performances that were there before but unused, or I can change fundamental balance without any preconceptions I have had from the production. Ted: I noticed is that you really brought out some buried guitar parts and featured an omitted lead break in “Ceiling Unlimited.” Alex and Geddy left out that break in the original version, why did you include it? David: It sounded good to me. As I said, I just worked with the material they gave me. I didn’t really check the originals to see what they used or didn’t use. I liked that solo and put it in. I don’t think many people have complained about that one so far. When a record is made, often times there are things that are recorded that are left out of the final mix. I had no attachment to the older mixes or what was left in or out. I just put in all the mixes what I thought worked the best. I don’t think I left much out from the tracks they gave me. There was no really grand plan for the mixes. I just tried to make the songs all shine as much as I could. There was some talk in the fan press that the tracks were distorted in the recording process or that there have been new recordings done. Neither is true. The source recordings are top quality and we didn’t add anything new from those early recordings. Chris: Are you aware of there being a precedent for something like this, where a band and their fans express enough unhappiness with the sonics of a record to take the time and re-do it? David: I think this is a pretty unique situation, but it does speak volumes as to how much the band care about their fans and want them to be satisfied. I also think that they themselves were not as happy with the final result as they could have been. These are great songs and I was just trying to help them realize them as they would have wanted at the time. Everyone has to remember that it was a very stressful time for the band and it’s really a tribute to their resilience that they were able to continue as a band at all. At the time this project was done, there were well known “volume wars” going on and this project suffered from that recording and mixing philosophy. Mercifully, I think we are beyond that now.